However, as we’ve explained in previous articles, AXE is not a one-trick pony. AXE has just signed a provisional, non-binding MOU with a local company operating a magnesite mine and could have a binding magnesite supply agreement in the bag as soon as Q2 2016. Magnesite is a mineral used in industrial application and you may even know someone who has taken a magnesium tablet or two. AXE believes its magnesite business case is as strong as any business case can be. AXE has a world leading resource, agreements to fast track development and capital efficient toll processing opportunities. All of this in a world where demand for magnesia is growing substantially. While AXE’s main game is graphite in the Eyre Peninsula of South Australia, it has been increasingly vocal on its Magnesite play to the north at Leigh Creek. The reason for the sudden change of tune regarding magnesite is energy company Alinta’s decision to pull out of Leigh Creek, leaving the South Australian government looking for a major project to restore some semblance of normality to the region and improve employment numbers after mass job losses. AXE has moved to improve its own Leigh Creek operations where it has a Mineral Resource of 434Mt @ 41.4% MgO – the world’s largest magnesite resource bar none. Remember, however that this is still an early stage play and caution is advised if considering this stock for your portfolio. Leigh Creek contains more magnesite of its type than the rest of the world combined and AXE believes it has a business case to add 0.5% of global supply. 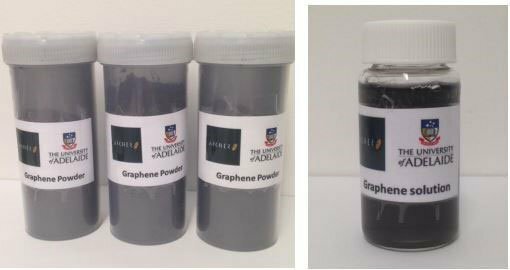 With Australia’s largest graphite resource already secured and now wheels moving on the world’s largest cryptocrystalline magnesite resource – AXE is on course for potentially a larger market valuation later this year. 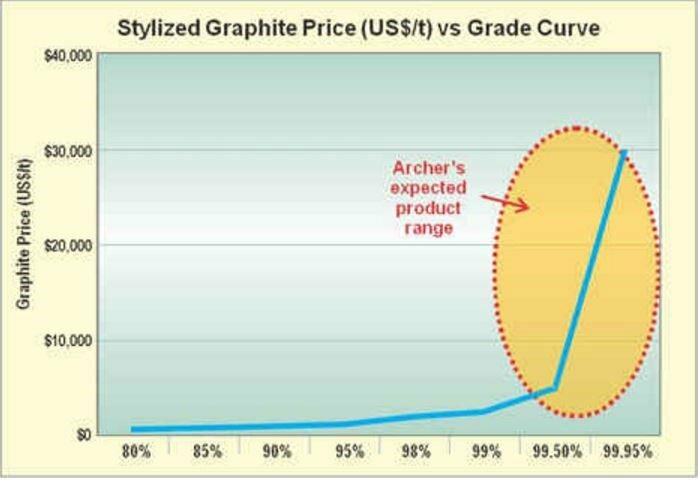 AXE wields Australia’s largest graphite JORC Resource and is progressing its graphite projects in an orderly fashion with a view for longer term value (but more on graphite later). In the meantime, AXE has discovered an opportunity to put some ‘va-va-voom’ into its magnesite project at Leigh Creek in South Australia. With its graphite resource still being of prime importance, AXE also has a joker in its pack. 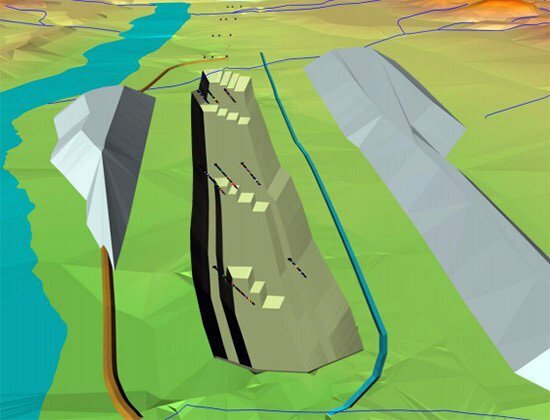 It’s a significant one that could potentially trump all of its graphite ambitions. 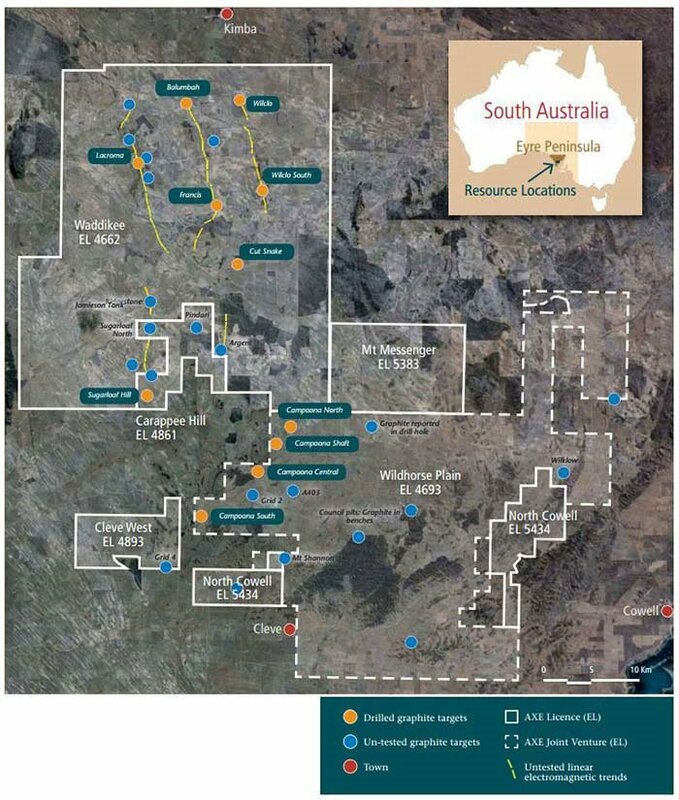 AXE has sole access to the world’s largest cryptocrystalline magnesite resource located at Leigh Creek, close to its graphite projects in South Australia. Cryptocrystalline magnesite is a unique mineral and accounts for just 7% of the world’s total magnesite resources, however it has superior characteristics over the more common macrocrystalline magnesite. Under the MoU, considered to be a major milestone in the company’s development, AXE is expected to accelerate development at Leigh Creek. The MoU partners will work together to execute a supply agreement for the long term supply and mining of magnesite at Leigh Creek. AXE expects to execute the agreement in Q2 2016. The MoU means AXE can reduce the number of approvals required, the development timetable and the cost to commence magnesite production. AXE has the world’s largest cryptocrystalline magnesite JORC Resource totalling 453 million tonnes grading 41.3% MgO. This $6MN capped explorer effectively has 50% of the world’s total cryptocrystalline magnetise reserves in its sole control. That puts AXE right up there in terms of Valuation-Resource Size ratio. If AXE was able to unload all of its JORC’ed magnesite supply at just $1 per tonne – it would generate over AU$450MN in revenue. AXE forecasts a project capital cost of $2MN to initiate annual production of around 125,000pa for at least 20 years mine life. After processing, AXE expects to sell at least 50,000 tonnes per year with its net margin expected to be between AU$30-$100 per tonne. These numbers are speculative and should not be the sole influence of any investment decision with regard to AXE. Seek professional advice. Just to reiterate, a AU$6MN ASX-listed company has the world’s largest magnesite JORC Resource, valued at over US$450MN (AU$580MN). That’s just a back-of-an-envelope estimate for now, but the fact that AXE has such a huge resource with high-grades, means that it has something it can offload to JV partners and still retain a huge nominal slice of the commercial pie. 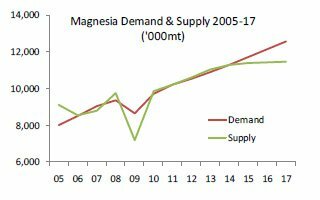 Leigh Creek – The world’s new Magnesia epicentre? Shown as red dots, AXE has five distinct magnesite deposits that comprise its overall Resource estimate. The deposits extend for over 60km from Farina in the north, down to Leigh Creek in the south, covering almost 1000 sq. km. Here are the Measured, Indicated and Inferred estimates according to the JORC Code, recently updated to 2012 standards . So with the largest cryptocrystalline magnesite resource in the bag and a means to develop it now commercially viable – you may possibly be asking the question: what is magnesite and what does it do? If you have never heard of Magnesite, fret not. Neither had we until we did some research, to find that this mineral is incrementally heading towards a perfect storm and possibly a substantial windfall for AXE. What is Magnesite and what does it do? Magnesite is a mineral, otherwise known as Magnesium Carbonate and its largest reserve is located in Australia. 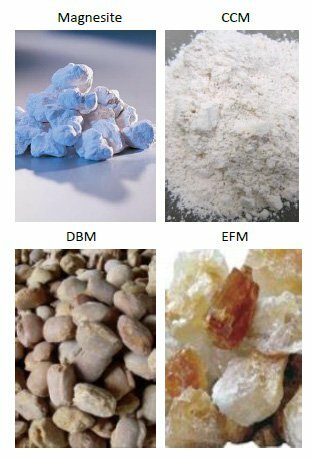 Magnesite has mostly industrial applications – being used to make Magnesium and as well as caustic calcite magnesia (CCM). CCM is used to neutralise acids, purify water, land remediation and in feed lots for farming purposes. Raw magnesite is used for surface coatings, landscaping, ceramics and as a fire retardant. Direct human use of Magnesite is limited to ‘Milk of Magnesia’ – a common cure for indigestion, upset stomachs and digestive ailments. The reason why Magnesite could become a hot commodity over the coming years is because one of its derivatives, Magnesium Oxide (MgO) is slowly but surely replacing Gypsum in wallboards – and making buildings more fire resistant, mould-free, water resistant and cheaper to build. To the untrained eye, there is seemingly no difference at all. Just boards with different thicknesses. The difference between traditional Gypsum wallboard and the technologically superior Magnesium Oxide (MgO) board is clear on every aspect. MgO wallboards are superior to Gypsum in almost every way possible. So much so, that the wide-ranging benefits of using MgO board are compelling architects, planners and property developers across the globe to change their preferences when building new homes and offices. In China alone, there are millions of new construction projects each year and existing buildings could soon be subject to revamps that include MgO wallboards. Outside China the trend is the same with developed countries preferring magnesium over gypsum for its superior properties. Aside from construction, magnesia is also heavily used in industrial steel-making and refractories. Given that Magnesite is heavily used in industrial steel-making, as long as people are making steel and there is demand for steel products, there will be demand for magnesite. With so many countries across the globe set on a rapid pace of development including large-scale construction and steel-making, AXE’s magnesite play looks well supported. Regardless of temporary steel gluts or waning demand from China – the world will need steel in huge quantities over the next 50 years as the BRIC countries lead economic development and industrialisation globally. There is likely to be a 500,000 tonne shortage of CCM due to remediation and construction work in China alone. 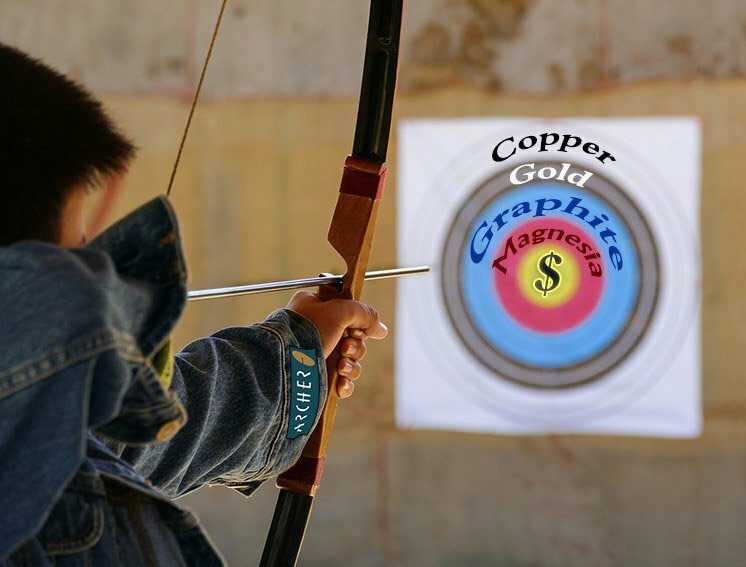 Other countries could potentially turn to Magnesia which would add even more pressure on suppliers and Magnesia explorers, which AXE is only happy to alleviate. AXE stands ready to be the world’s largest cryptocrystalline source with a 453Mt JORC resource ready to be mined and sold. And here are the market prices for various magnesia derivatives from the IM Prices Database. 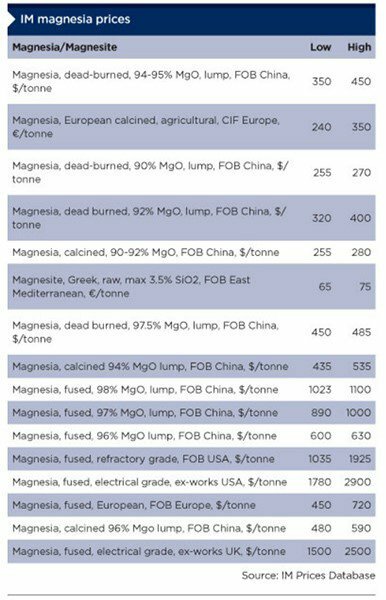 Bear in mind that magnesia is not a standardised commodity and therefore isn’t traded on an international exchange like other commodities. 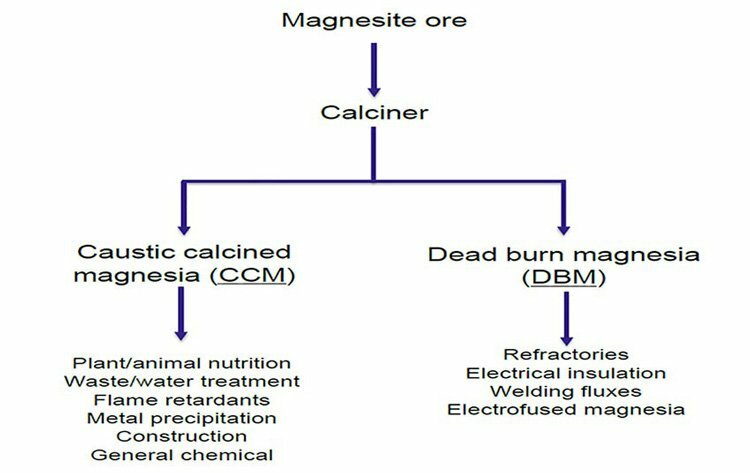 As a rule of thumb, as a finished product Dead Burn Magnesia (DBM) fetches more at market if it has a higher MgO content. Here are the most recent price estimates for DBM from IM. Depending on the type of finished product, Magnesite producers can expect to sell a tonne of Magnesite for between $200-$1000 per tonne. Typically, the most sought after type is DBM accounting for around 71% of global consumption. 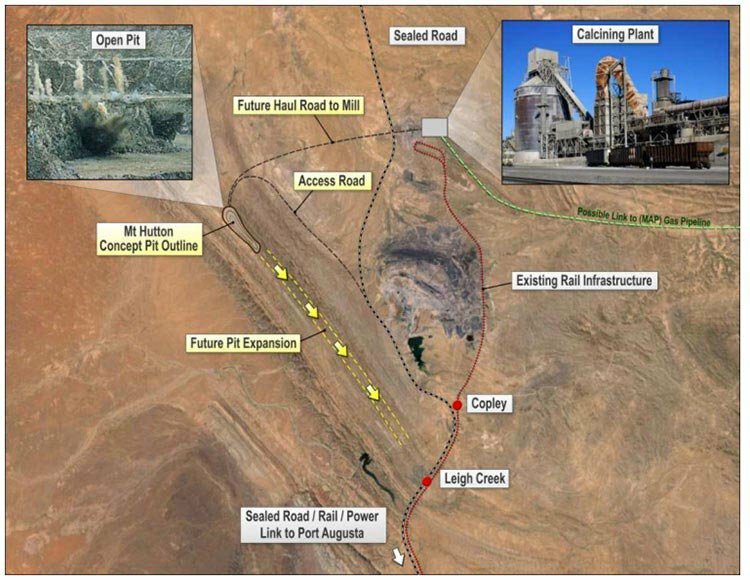 Looking at the Leigh Creek site in detail, we can see that all the components are there for AXE to step in and take advantage. The Leigh Creek project had a Definitive Feasibility Study (DFS) completed over a decade ago, costing over $21MN. AXE has managed to pick-up the project for bargain price of $150,000 from Magnesium Developments Pty Ltd (MDL) which included all the technical information used for the DFS. The recent JORC resource update reaffirms the quantity and quality of Leigh Creek’s magnesite and underlines that AXE is both well advanced on its magnesia ambition, and it has the minerals to achieve it. Leigh Creek has a JORC resource, AXE knows exactly where the mineralisation is, how deep it is and how best to go about obtaining it. Now its time to generate all important cash flow. Announced last year, Alinta Energy has now closed its Leigh Creek coal mine . The knock-on effect has been widespread anxiety that the town will cease to exist due to severe job losses. However, the South Australian state government owns the mine, and is desperate to find other job creating industries to fill Alinta’s void. In our initial article on AXE back in August 2015 , we had an inkling that magnesite could come to the fore for AXE, given Alinta’s plans and the infrastructure that would be left behind. With local government officials scrambling to get projects back in the pipeline for Leigh Creek, AXE could potentially reap the benefits of fast-tracked administration and mining subsidies on its Leigh Creek project. With an inferenced mine life of 280 years, favourable operating conditions and a huge resource already JORC certified, AXE’s magnesite play could generate the lion share of the company’ revenue as and when an offtake agreement is signed. For the time being, a trial production run will kick-start AXE’s magnesite production. 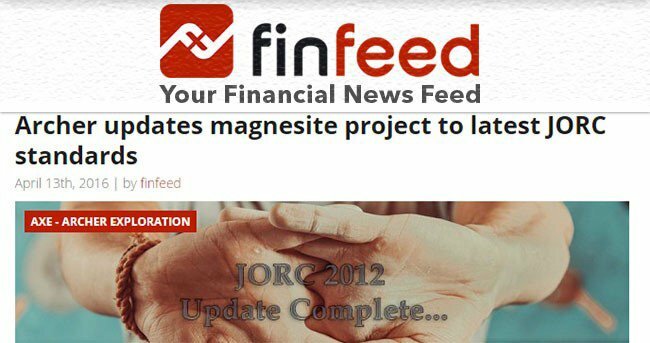 Over the past few years, other Magnesite explorers have sold their entire JORC inventories for a mutually agreed price. Korab Resources (ASX:KOR) signed a deal in 2013 to sell approximately 2% of its 12.2Mt Winchester magnesite deposit to Augur Investments for $33.2 million. Augur obtained 244,000 tonnes of magnesite which equates to approximately $136 per tonne. Another company, Calix, has also ventured into Magnesite by acquiring the Myrtle Springs Magnesite mine from MDL back in 2013 for an undisclosed sum. AXE’s JORC resource in South Australia dwarfs all others anywhere in the world and means that just in case its graphite play doesn’t bear fruit, its magnesite play could be its diversifier. AXE estimates that a large 150,000tpa of CCM operation is well within its means and could potentially generate $15M in annual revenue assuming AXE can sell its CCM for $100 per tonne. Again, this is a speculative figure and should only be one element of your overall investment decision. Caution is required when considering this stock for your portfolio. AXE is aiming to produce both DBM mainly used in the manufacture of basic refractories used by the iron and steel industry in electric arc furnaces and different kind of kilns for lining purpose and used for agricultural, industrial/technical & chemical, construction, environmental, steel / refractories at Leigh Creek. Illustrated below is how AXE plans to advance this mammoth Resource. AXE will be operating a 40m deep open pit with ore crushed and processed at the existing calcining plant. AXE’s mined ore will be shipped to Port Pirie or Port Augusta by rail. The aim is to produce DBM and CCM products for a range of market applications as we’ve mentioned. 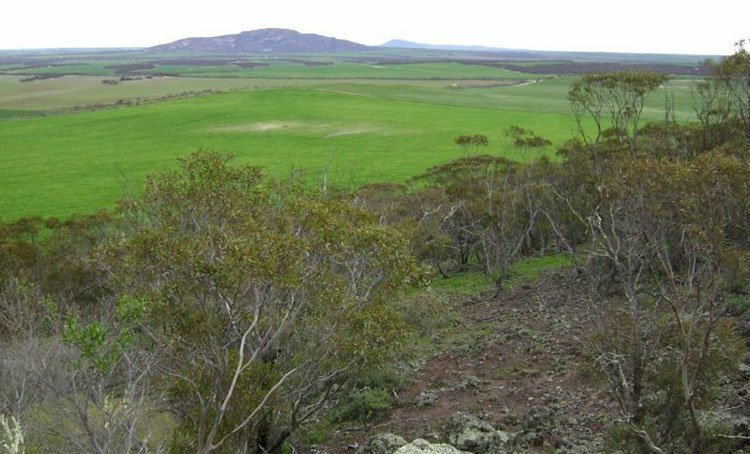 With a non-binding MOU signed for the long-term supply of magnesite from Leigh Creek, AXE’s magnesia fortunes have seemingly turned. A production trial is scheduled for September 2016 which means commercial production activities (and revenues) could be on their way to AXE’s coffers by the end of the year. If the processing trial is successful, a more substantial contract is likely to be on the table also. These two factors could be serve as substantial tandem catalysts for this undervalued $6MN-capped stock in the coming months. With magnesite suddenly thrust into the limelight for AXE, its graphite ambitions have not been forgotten. AXE is taking all the right steps to ascend from its current junior explorer status. With Australia’s largest graphite JORC Resource already in the bag and progress ticking along, AXE is now showing off one of the other feathers in its cap – Magnesite. A well-timed MOU agreement has been signed and indications are it may well become a binding offtake deal further down the track once a trial production run is completed in September 2016. 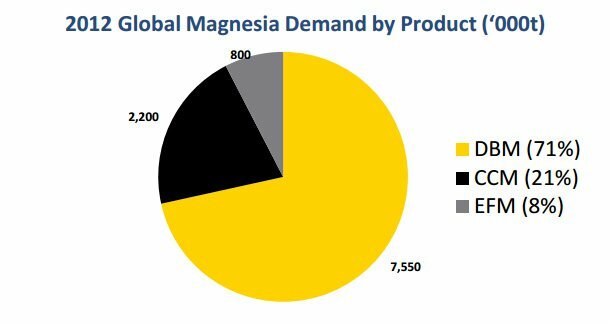 With magnesia supply starting to wane due to export restrictions in major producing countries such as China and Russia, combined with steadily increasing demand for magnesia products, AXE has been presented a strong market opportunity. Its Leigh Creek project has all the required infrastructure in place, while AXE doesn’t need to conduct any more exploration – it just needs to demonstrate the production of ample quantities of high MgO grade ore.
From the various bits of information available such as assay results and AXE’s updated DFS, AXE has an excellent chance of making the magnesia grade when it comes to satisfying offtake partners. 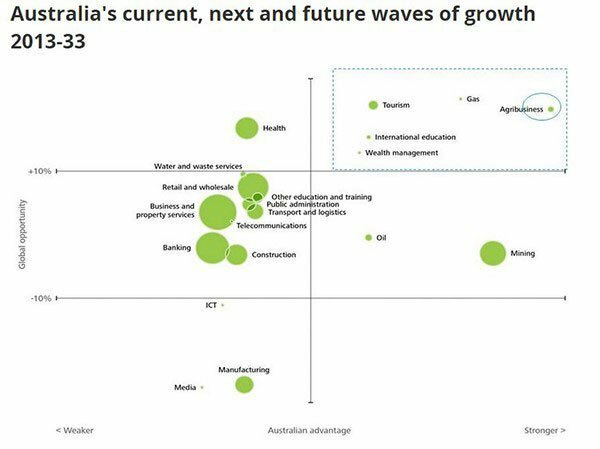 When the resources boom returns, it’s likely to be explorers like AXE that are seen as the counter-cyclical investment opportunities given its peer-spanking resources and projects. This is one archer with sights set firmly on hitting the bullseye later this year. Have you heard about the Next Investors VIP Club ?